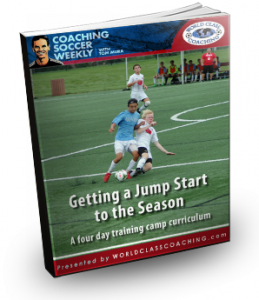 #156 Starting Your Season with Structure or Skill? This week has just been insane. Create cards and rosters for our older team and getting the uniforms and coaches meeting organized for the younger teams has been a bigger job than I could ever have imagined. his weekend I have to get the schedule done and then hopefully I can get my life back into balance again. 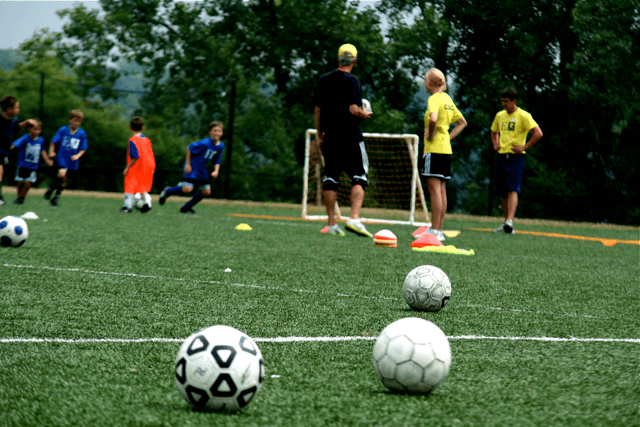 On top of all of that, we also started training our teams this week. With all of my responsibilities to the rec program over the summer I really didn’t feel like I had much of a break. I think from now on my busiest times will always be June and July. That’s been a big adjustment for me. 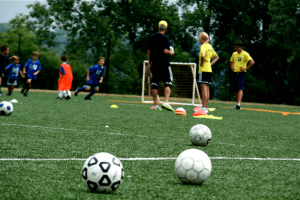 My plan for starting practice was to start with structure and then add skill over the course of the season, much like I talked about doing for the Futsal season. But those plans were blown up once I looked at the numbers I was going to have for my first week of training sessions. On the podcast I talk about how this affected my plans and what I found that may have actually worked better. Since I just didn’t have time to work on a new topic for today I’m going to reach way back to Episode 21 that describes a four session pre-season camp that I did. I’ll also put a link to the PDF below so that you can see the descriptions and diagrams of each of the activities. I hope you find this useful as you get ready to start you season. I’m not sure what form the podcast will take for next week since things are really going to slow down until the rec league actually starts playing games in the middle of the month. But I’ll do my best to have something that I think will be helpful. Very good podcast. I’ve learnt a lot of new things.